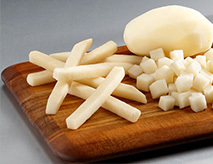 White Russet™ potatoes now provide the opportunity to enjoy all the nutritional benefits of fresh potatoes with improved quality. Acrylamide formation varies depending on how a potato is prepared and cooked. More information about acrylamide can be found by visiting the FDA website. 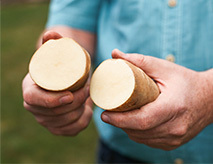 Future generations of White Russet™ potatoes will further contribute to reducing waste associated with bruise, late blight disease and storage losses. 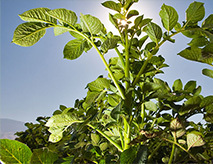 This means less land, water and pesticides will be needed to produce potatoes.